In a novel legal challenge, a group of Palestinians is continuing to pursue claims against settlers in a US Court. In early March, two Palestinian villages and two Palestinian-Americans filed an unusual legal claim in a federal court in Delaware. It represented the first attempt by Palestinians to challenge the Israeli settlement enterprise in the United States. The challenge took the form of an intervention in a lawsuit that had been filed earlier by a group of Israeli-Americans, with homes in settlements, against the online hospitality giant Airbnb. That lawsuit charged the company with discrimination after it announced it would no longer list properties in the occupied West Bank. 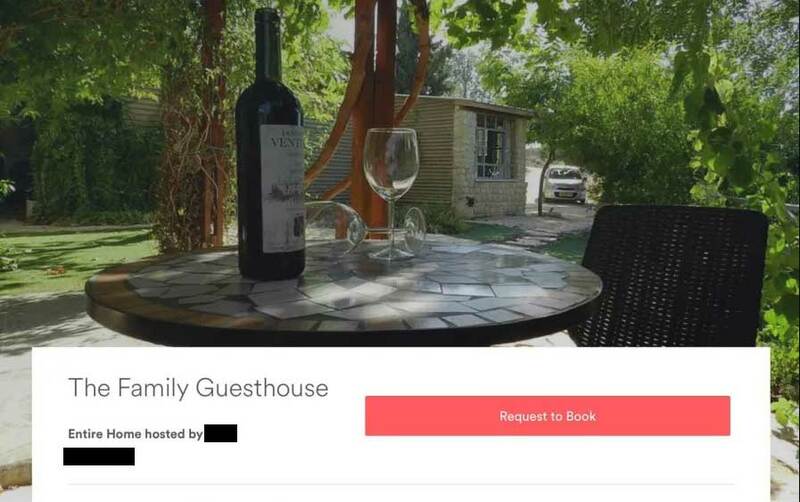 In intervening in the suit, the Palestinians flipped the script: They argued that it is the settlers’ conduct, and not Airbnb’s attempt to reconcile its business practices with basic human-rights law, that discriminates against Palestinians. They further charged the settlers with discrimination on the basis of religion and national origin, trespassing, and unjust enrichment and international war crimes. Now, one month later, Airbnb has settled with their pro-settlement critics—but the Palestinian intervenors are continuing to pursue their claim. On April 9, Airbnb announced that it will not be removing its listings in Israeli settlements in the occupied West Bank, as it had said it would back in November 2018; instead, it will continue to allow listings throughout the West Bank, but will donate its profits to “non-profit organizations dedicated to humanitarian aid that serve people in different parts of the world.” Two days later, on April 11, attorneys for the Center for Constitutional Rights, which represents the two Palestinian villages and two Palestinian Americans, urged a federal judge to permit their claims against Americans with properties in Israeli settlements to proceed. News of Airbnb’s settlement sparked dismay and outrage from a range of human rights groups, among them Human Rights Watch, which, along with several other organizations, had urged Airbnb to remove the settlement listings. “Airbnb cannot wash its hands by donating profits from unlawful settlement listings. So long as they continue to broker rentals on land stolen from Palestinians who themselves are barred from staying there, they remain complicit in the abuses settlements trigger,” Omar Shakir, the Israel and Palestine director of Human Rights Watch, told The Nation. He added: “They’ve just been bullied into not taking the actions that flow from their own findings and their international human rights obligations. A map of Airbnb listings for rentals in Israeli settlements. Meanwhile, Shurat HaDin, a pro-settlement law office based in Israel which represented the group of American Jews in the lawsuit against Airbnb, hailed the settlement as a victory. Conflating Airbnb’s decision to delist rentals in the occupied West Bank with the Boycott, Divestment, Sanctions (BDS) movement, it called the company’s about-face “a powerful defeat for the anti-Israel boycott movement” in a statement. As of April 2019, 27 states have passed anti-boycott legislation prohibiting state entities from contracting with companies or individuals that have or will boycott Israel (some do not distinguish between settlement boycotts and BDS). And, in early March of this year, pursuant to a 2017 law passed in Texas, the the state’s comptroller, Glenn Hegar, officially added the online hospitality giant to a blacklist, giving Airbnb 90 days to prove to the comptroller that it doesn’t boycott Israel. According to a report in the Texas Observer last month, the Comptroller’s Office notified the state pension funds that they are required to divest from Airbnb. Employees Retirement System of Texas, the state’s second-largest pension fund, has an indirect investment of $460,000 in Airbnb, according to that report, and state pension funds make up a huge chunk of the money flowing into the investment market. If the 26 other states with anti-BDS laws decided to follow suit and label Airbnb as a company non grata, this could have been a serious economic blow. Airbnb did not respond to requests for comment. Nonetheless, between the settler lawsuits, Israeli government pressure, and increasing threats of anti-BDS legislation in the United States on both the state and federal levels, Airbnb has apparently weighed the costs and come to the conclusion it has much more to lose by pulling out of the occupied West Bank than by staying in. Mairav ZonszeinMairav Zonszein is an Israeli-American journalist who writes about Israeli politics, American foreign policy, and human rights. A blogger and contributing editor for +972 Magazine, she has also written for The New York Times, The Washington Post, and The New York Review of Books, among others.